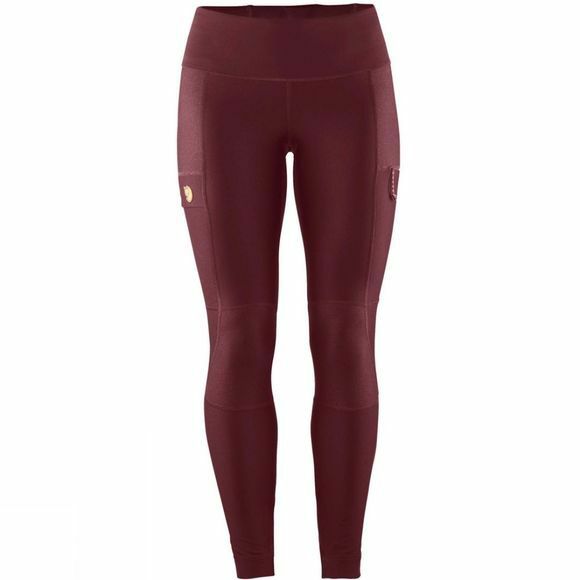 Part of the Abisco familly, Womens Abisko Trail Tights from Fjallraven are made from light, durable stretch fabric, but with a lighter stretch fabric in areas needing more ventilation. The tights provide excellent mobility on fast-paced treks and they are equally suited for lighter climbs. Reinforced ceramic print on knees and rear. Comfortable, high waistband with inside drawstring and small pocket at the back. Map pocket on right leg and small zippered pocket on left leg.